MBNA Thames Clippers are the fastest and most frequent fleet on the river. 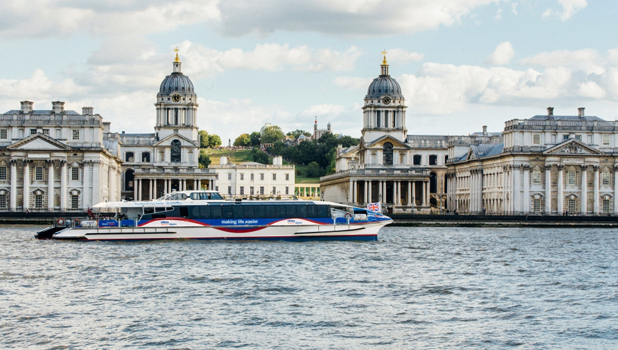 Explore all the capital has to offer with all day hop-on, hop-off River Roamer tickets, valid between 17 piers including London Eye, Tower, Greenwich and Battersea Power Station. With departures every 20 minutes, you can get about London quickly and comfortably. Enjoy refreshments from on-board licensed coffee bars as you travel through the capital by river amidst spectacular views. *River Roamers are valid in the Central and East Zones only. *Not valid for use in the West Zone or on River Bus Express for events at The O2. 2FOR1 can be redeemed at the following piers between 10.00 and 18.00 daily: Westminster, London Eye, Embankment, Bankside, London Bridge City, Tower, Canary Wharf, Greenwich and North Greenwich ticket offices. Daily 10.00 until end of service. Depart every 20 minutes from major piers in central London.